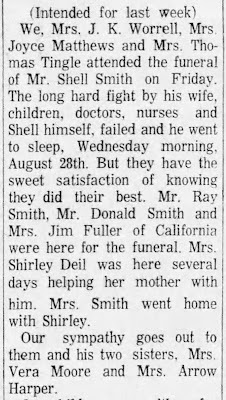 The (Carroll County) Conservative, Sep 5, 1968. Shellie "Shell" Walton Smith's obituary is short. 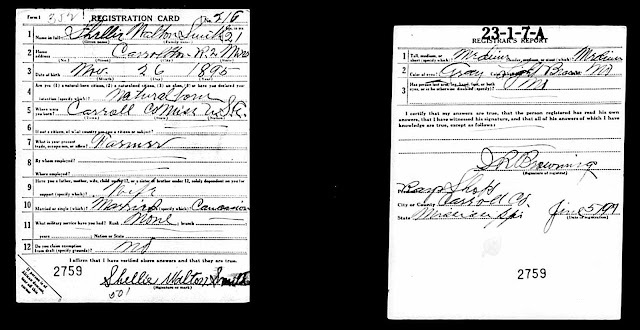 It does not mention his brief career as a recording artist, or his role in the career of local blues artist John Hurt. 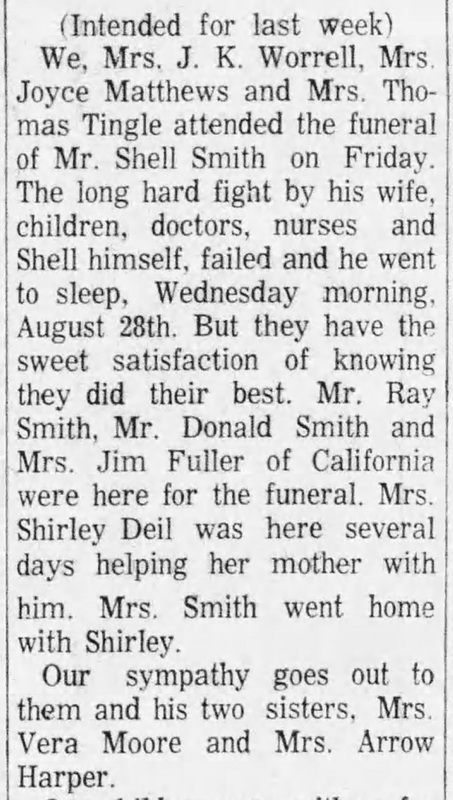 A second obituary for Smith reveals the "long hard fight" for life that was ultimately lost, and the well-attended funeral of the guitar picker who accompanied fiddler William T. Narmour on several recordings, such as "Carroll County Blues." He was indeed much loved by a family that fought hard to hold on in the end. 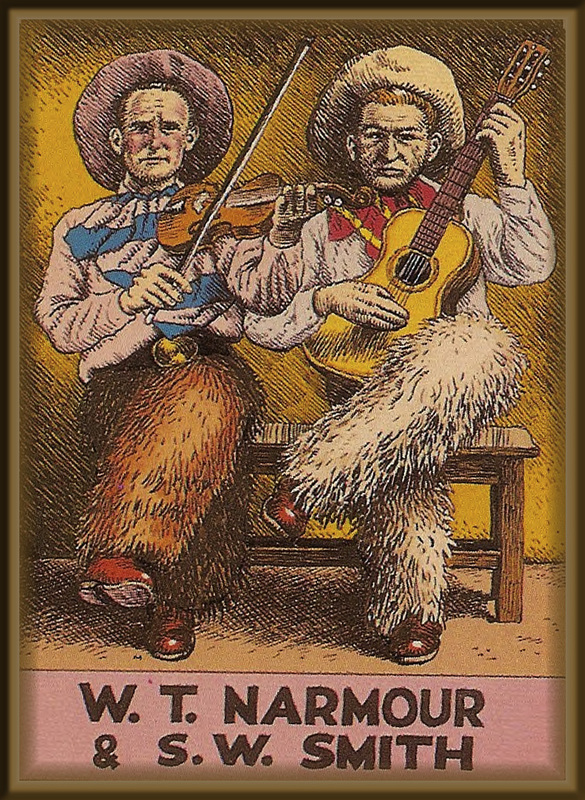 Shell Smith had played out his life true to the bone, picking his guitar with Willie Narmour at socials, picnics, contests and especially, the country dances in Carroll and in neighboring counties. 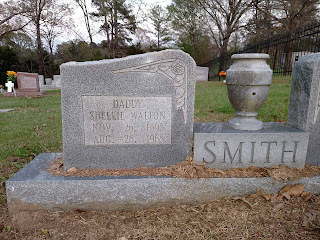 Born to sharecroppers Irwin and Alice Smith on November 26, 1895, the young man that everyone called "Shell" came up dirt poor in rural Beat 2 of Carroll County, Mississippi. He had married Lillian Kirby by the time he enlisted to serve in World War I, and he started working as a road contractor in the 1920s, physically transforming the promises of county politicians into the promise of a new age. 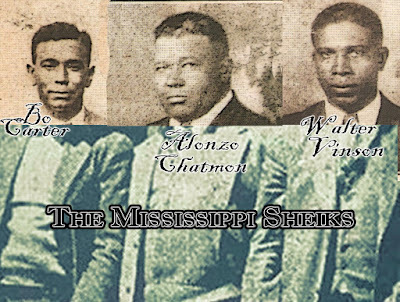 One element of this new age was the nationwide prohibition of alcohol, but the state of Mississippi had already been dry since 1908. Carroll County was not unique in that every hollow and valley had a whisky still. It was through his penchant for moonshine that Shell Smith first became the acquaintance of John Hurt. In fact, Smith fully owns half the credit for John Hurt's first brush with the record industry, recommending their neighbor when talent scouts asked if they knew any good black guitarists. Hurt, who became internationally known after a blues historian named Tom Hoskins "rediscovered" him in 1963, could not return the favor for either man. Narmour suffered a minor stroke in the mid-1950s, and a massive stroke killed him March 24, 1961. Hoskins tracked down guitarist Shell Smith, who had been working as a janitor at nearby Valley High School, a country school that closed in the late 1960s. 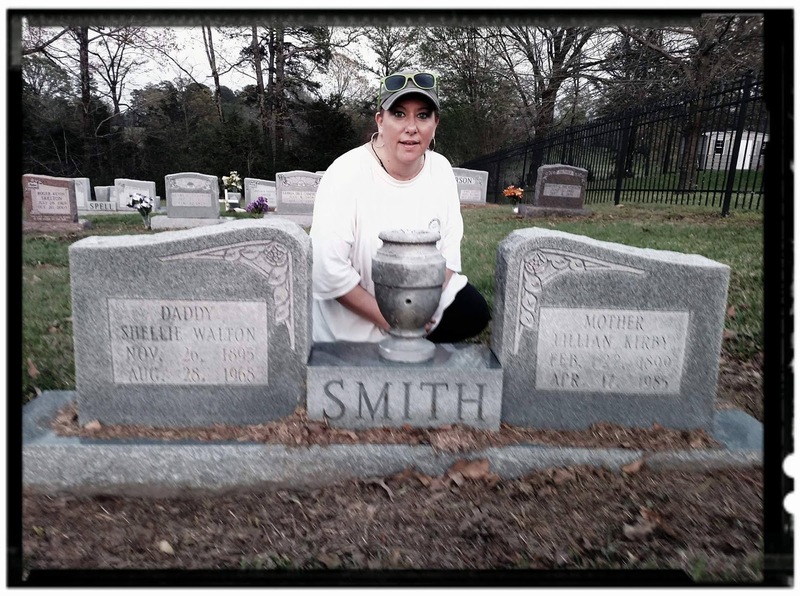 But it was too late for Smith too. He died quietly on August 28, 1968. 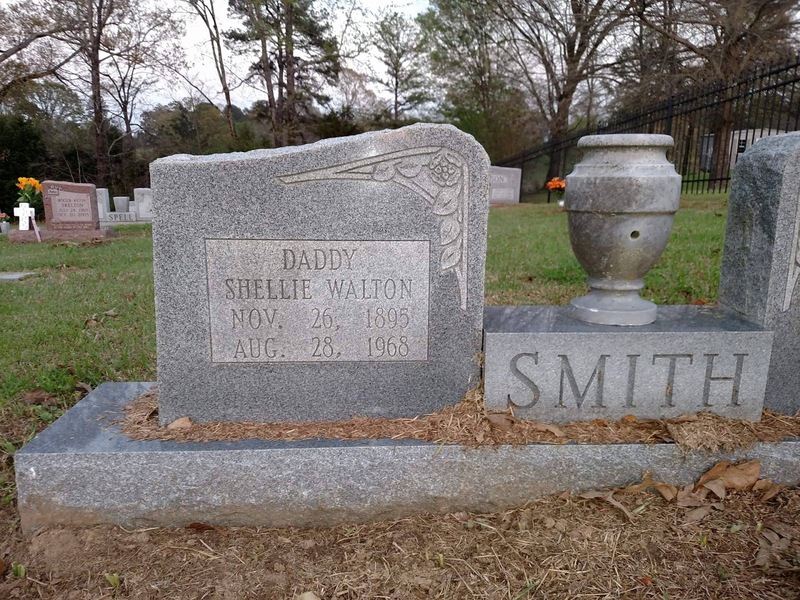 His grave is marked by a respectable headstone in Moore's Memorial Cemetery behind Pisgah church.